Anger is an emotion we all feel. It is a very normal and natural reaction to situations that may cause disappointment, hurt, frustrations, sadness, confusion, shame or other negative emotions. Yet, for many people anger is an extremely uncomfortable and confusing emotion. 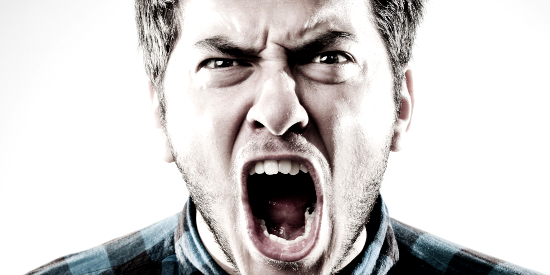 Anger is the body's way to cope with a loss, hurt, dissapointment or insult and can be very impulsive. There are two major problems with anger; not expressing it (which leads to resentment, depression, and health problems), and expressing it irresponsibly (which can lead to exploding hostility and even physical violence). Anger and rage (normal human emotions), are the body's reactions to hurt or the threat of hurt that needs to be released from the body. It needs to be released safely and responsibly without directing it towards anyone else. Uncontrolled anger can make us feels as though we are at the mercy of an unpredictable and powerful emotion. Finding help for anger management is not easy and choosing an anger management counselor can be just as confusing and frustrating as the anger itself. If you are looking for professional help with your anger issues you have just found the help you need. Contact Betsy and she will help you to begin the healing process and the ability to more effgectively manage your anger.